God only ever has ‘Plan A’. There is no ‘Plan B’. Each of us has a destiny, conferred and agreed before the foundation of the world, and with that destiny come both the creative ability and the authority to fulfil it. God has made it really simple for us. We can either step up, say ‘yes’ to His plan and fulfil our destiny, or hesitate, hold back, say ‘no’ and miss it. God is calling a generation in our days. In fact, He is speaking to three generations and calling them to fulfil their destiny. A Joshua generation, who will see the Promised Land, enter into it as forerunners and draw others in with them. A generation of harvesters, a billion of them, as prophesied (in 1975, a generation ago – and let us not miss the significance of that) by Bob Jones. These will reap the final harvest, which will be far more numerous, and to do so they will need to be operating in the fullness of Jesus’ greater works (John 14:12). The Moses generation, who have seen and experienced God’s deliverance and His miraculous provision. Faced with the giants and the walled cities, they have a choice to make. It is not too late for them, not yet. The church today is in transition from one place to another, or at least, a part of it is. And we all have a choice to make. Two-and-a-half tribes of Israel chose to stay on the near side of the Jordan, chose not to enjoy the benefits of God’s provision for them, and more or less completely disappeared from history. The generation who entered the Promised Land were offered exactly the same choice their fathers had rejected forty years before, with exactly the same obstacles to overcome, but this generation said ‘yes’ to God rather than ‘no’. Still, the process of taking the land was not easy. The cities had to be conquered (using God’s strategy, not theirs); the giants and the nations had to be dispossessed. Even though we choose to say ‘yes’ to Him, we will still have to fight for our inheritance, and we will have to be overcomers if we are to fulfil our destiny. The church generally has a very poor reputation with the world. We may laugh at comedy shows like ‘The Vicar of Dibley’ and ‘Rev’, but they are an accurate reflection of how the world sees us. When I first taught this series in 2012, God told me that in three years He would be coming to overturn the tables of the moneychangers in His temple. Coming to us individually as the temple of the Holy Spirit, certainly. But also coming to the church, wherever it is not a true representation of Him. We may think that here at Freedom our reputation with the world (at least locally) is somewhat different. We are engaging with and meeting the needs of people in our community, and of course there are many other churches of whom the same is true. But we cannot afford to be complacent. It is not enough. We must not settle. We must go in, inherit our destiny and take our Promised Land. There is a whole generation of young people to be won for Christ. They will not respond to the same boring experience of church they have already rejected. And not just young people – the Joshua Generation and the harvesters will be of all ages. Nothing less than an authentic demonstration of the works of the kingdom will draw them in. I am going to once again shake all things. I am going to turn over the moneychangers’ tables in My temple. I am going to drive out the thieves and robbers from My temple. I am preparing the whip right now to expose the attitudes and motives of your lives. I am going to expose in My temple the church those who are using it for their own purposes. There will be many exposed for who and what they are. My temple will once again be known as the Father’s house; a place of habitation. Where My words of truth will set My people free. The world will be set free from the chaos, confusion and dominion of darkness it is in. My desire is to reveal sons to the world; true sons living in the truth. True temples where rivers of My presence and power are flowing to fulfil My purposes. So be ready for motives that are selfish and self-centred to be revealed. Know for sure that My temple will be known as a true house of prayer. (See Matt 21:12-13, John 2:12-22). Jesus is plaiting a whip, and all those who are trading for their own purposes are going to be turned out. That three-year period will be finished early in 2015, when it will also be 40 years since Bob Jones’ prophecy. This is a serious business. We have had a vision of a canopy being stretched over us, and eagles flying out, carrying the four corners of it into the far distance. In another vision there was a portal opening, and angels coming through in great numbers. They were carrying cords attached to stakes, and dropping them at people’s feet. Some ignored the stakes completely, some knocked them into the ground where they stood, but others picked them up and took them as far as they could, until the ropes were pulled tight, and drove them in there. The message is clear, and how we respond is of critical importance. These are exciting days. We have the opportunity to be part of a generation who will make history. This is a definitive choice, and our defining moment. “Choose for yourselves today whom you will serve… but as for me and my house, we will serve the Lord.” (Joshua 24:15). 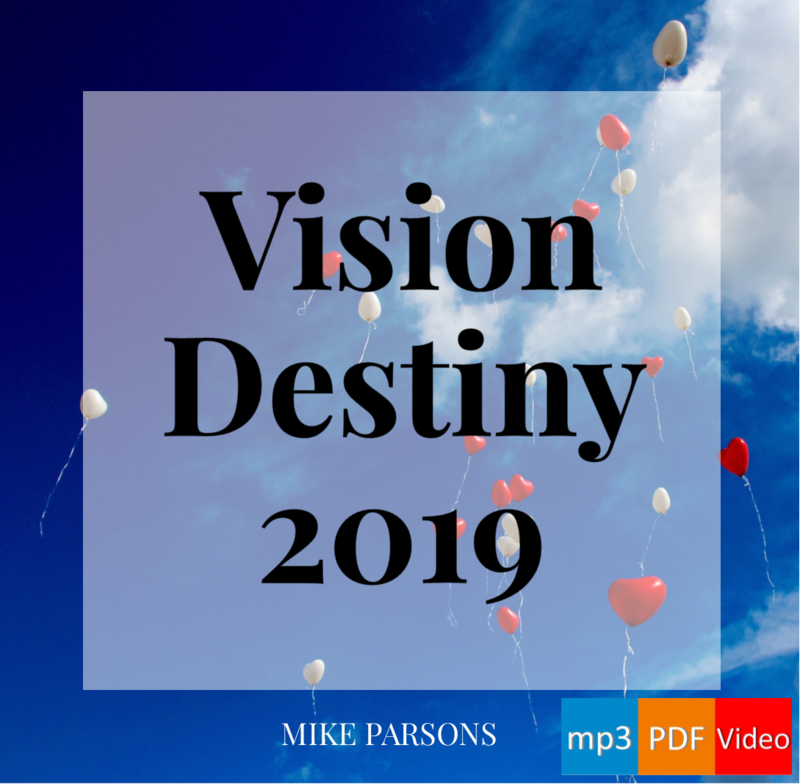 [This is a ‘now’ word, though much of this material was originally taught in session 9 of ‘Preparing For Destiny’ at Freedom Church in 2012 and refers to a sea-change in 2015. The audio and Mike’s notes for the whole series are available on our website. – Jeremy]. I am just curios we have until 2015 to “get this right”? as Ian Clayton speaks. I am willing but I have not gone through all the processes… I have stepped into heaven with a friend who introduced this to me but I have barely scratched the surfaces and in less than a year i need to get this right? I am still learning how to hear the voice of God and see and flow fluently in the spirit. This stuff takes years. Where do I fit in this? No, it’s not about having to get it all right. The only thing to ‘get right’ is our response to Him. 2015 is a time when God will be presenting the church at large with the choice he has been calling us to make for the past several years. It sounds to me that you have already made your choice to go into the land of promise. Working that through will take a while, for all of us. I knew there had to be more, I am very excited for this and the things that God is going to be doing. I have been getting a lot of this word for the last 3 – 6 months, time and season of preparation, like the word from Bonnie Jones about not missing the boat a very apt word. I been feeling for awhile now that we were in or coming to the time like when Jesus was sending out the invitation to attend the wedding that many of his friends were to busy to attend. When the day for them to appear before the Lord came we were to caught up in the things of this world.